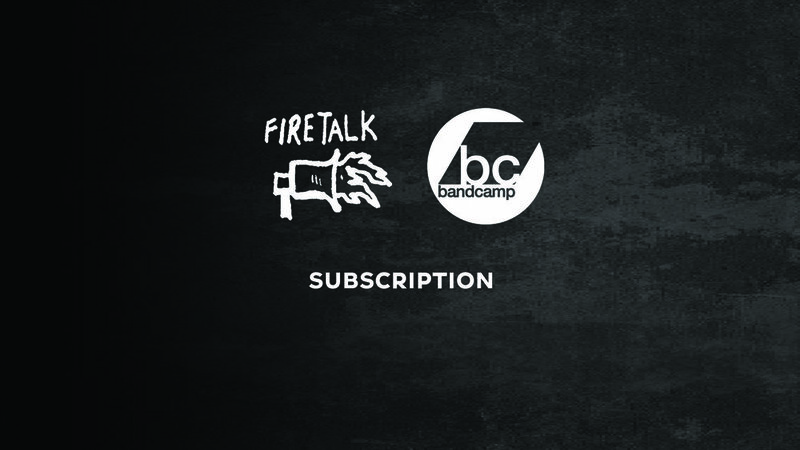 Welcome to the Fire Talk subscription! We've been purveyors of fine underground music since 2008 marking our 10th year in the game! Sign up and get instant access to our entire back catalog, every new release and a 25% discount on physical merchandise. On top of that, we're curating some great exclusive content only available to you as a faithful subscriber. Everyone knows this is a tough racket & with your dedication we can keep the wheels turning for another decade & beyond. 2018 schedule to date includes 10+ releases from various current and new artists. Get a peek below. $65 / Year gets you all CD or Cassette & Digital releases for the whole year. (8 CD / CSs) + extras ! $95 / Year get you all Vinyl & Digital releases for the whole year. (6LPs) + extras ! * Canada & World Subscribers shipping rates include quarterly "bulk" shipments. * Prices Include Shipping ! * The number of releases may increase, if that happens we'll notify you of options to include the extras with your subscription. You'll always get first dibs on any special edition color variants or packaging options.